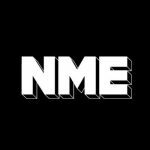 Of course, there’s only actually one albums of the year list you need to read – if you really want to know what the best records of the past 12 months have been, then feast your eyes upon NME’s 100% correct, authoritative and fool-proof guide to the finest releases of 2014. It’s here, and it’s a belter. But there are other lists out there, too. And so it’s time, once again, for us to round-up the results from other publication’s and compile it into one giant mega-list. This year, we aggregated 12 lists: as well as NME’s own list, we also took the results from Rolling Stone, Spin, Paste, Uncut, The Quietus, Drowned In Sound, Stereogum, Q, Mojo, Popmatters, The AV Club and The Guardian. The maths is simple enough: there’s 20 points for first place, one point for 20th place. And we’re sure you can work out how it goes for all the numbers in between.